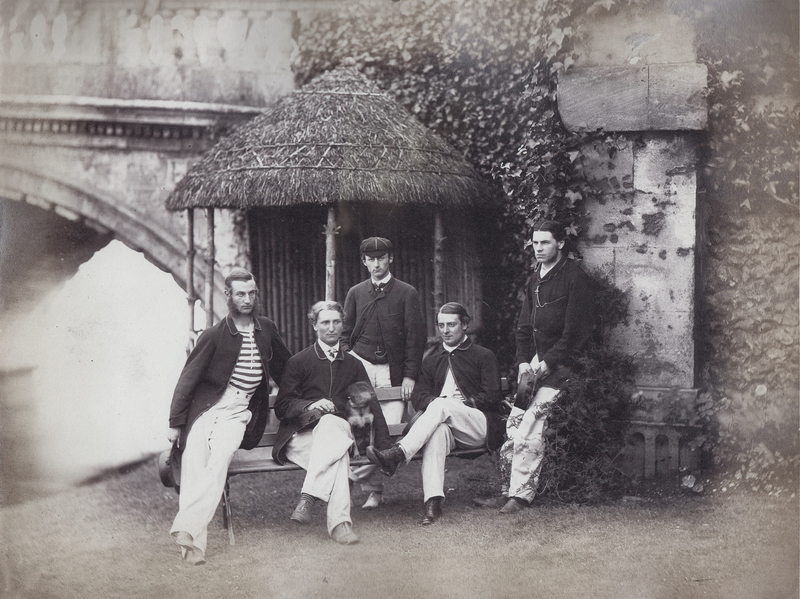 The 1858 Radley 1st VIII (Walter Woodgate second from the left at the back). If asked to nominate the greatest oarsmen of the 19th century, most would probably nominate Muttlebury, Goldie, Nickalls or Ampthill. These were the figures who dominated the last two decades of the century, men whose exploits were documented in the pages of Sporting Life, and whose likenesses preserved for posterity in Vanity Fair. However, no proper account of the 19th century rowing is complete without consideration of Walter Bradford Woodgate, one of the most prolific Henley oarsmen of all time, whose influence over the sport extended for almost half a century. In rowing’s first 60 years as an organised sport, Woodgate’s career is undoubtedly the best attested. Not only are his races recorded in fine detail in the extensive Minute Books of the Brasenose College Boat Club, but he also wrote a lengthy book, Reminiscences of an Old Sportsman. These contain many colourful anecdotes largely missing from the record of the 19th century. Born in 1841 to a Churchman, Canon Henry Arthur Woodgate, Woodgate was educated with his younger brother at Radley College before going up to Brasenose College, Oxford. His brother chose instead to go into the Army, rising to the rank of Major-General before being killed at the Battle of Spion Kop in the Boer War. The young Walter Woodgate had already developed into something of an oarsman by the time he matriculated at Oxford, although by his own admission was slightly built and weighed only 9st 10lb in his first year. He was a member of the Radley College 1st VIII of 1858, which rowed a match race at Henley that year against Eton College, a few weeks after Henley Royal Regatta. Although Radley had only 150 boys, they made decent showing against Eton, and finished about two-thirds of a length down. Upon going up to Brasenose College at Oxford, Woodgate threw himself into the aquatic world on the Isis, but also found time for other pursuits, including amateur dramatics. Being so slight, and by his own admission somewhat effeminate in his appearance when he went up, he was sometimes called upon to play female parts in various college theatricals. In fact, he earned the sobriquet of Lady Barbara after playing that role in the college play in 1859. The name was to stick with him for several decades. He was, however, someone of noted athletic ability, as well as possessing not a little streak of hard-headedness, which showed itself on many an occasion. 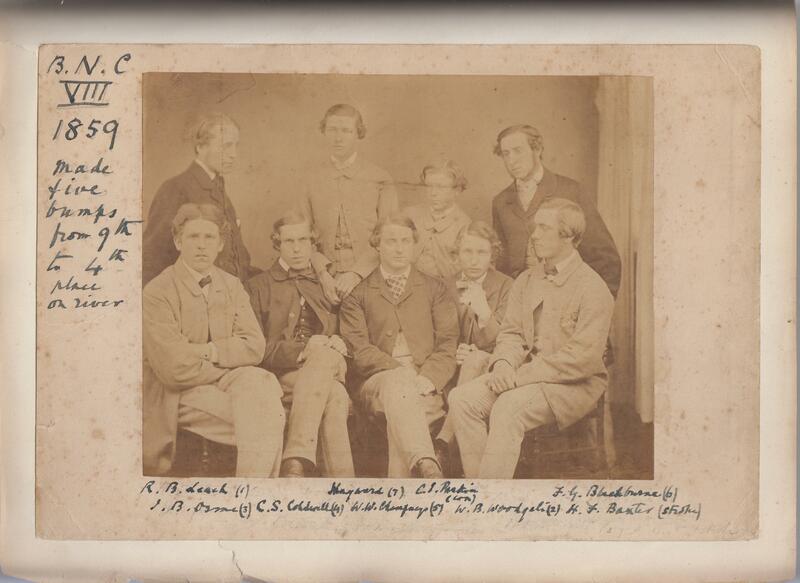 Woodgate’s rowing prowess meant he found a place in the Brasenose College Eight (known as the Childe of Hale) in 1859. Photographed that year, he is clearly small of frame and stature, although his ability was beyond doubt in a crew which made five bumps in the six days of Eights. The following year, the Brasenose Eight had an indifferent year and rose only one place, from fourth to third. The 1859 Brasenose Eight. Woodgate is seated second from the right. At the end of the summer, Woodgate teamed up with Henry Baxter, then Brasenose College’s pre-eminent oarsman, to win the O.U.B.C. Pairs. 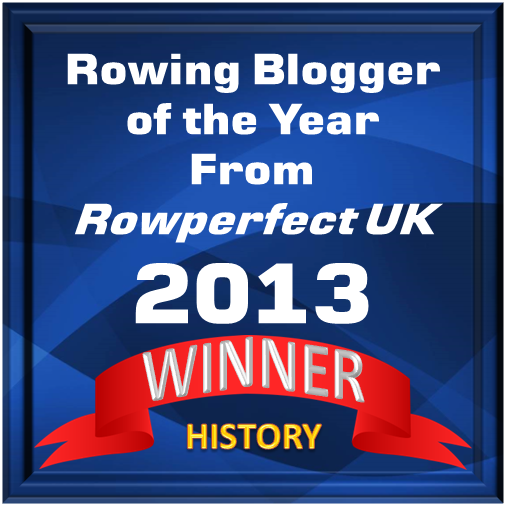 In November, Woodgate rowed in the three seat of the Brasenose College crew which won the O.U.B.C. Fours. The crew was pictured afterwards on the water, with Baxter at stroke, John Vavasour in two and Weldon Champneys in bow. In Oxford’s preparations for the Boat Race, both Woodgate and Champneys rowed in the Trial Eights, with Woodgate stroking the winning crew. However, only Champneys rowed in the Blue Boat the following term. The Brasenose College Boat Club Minute Book cryptically states he was ‘unavoidably absent’ come the Boat Race, as he would otherwise have most likely rowed in the Blue Boat. It would appear from later records of the Committee that Woodgate had been down that term, although it is unclear if this was as a result of a rustication, or some other circumstances. Woodgate himself gave no account in any of his later writings. Woodgate certainly was back in Oxford in the Trinity (summer) Term of 1861, and not surprisingly returned to the College Eight. Brasenose College being head in Torpids, and with Champneys and Woodgate sitting in the Eight, there was every expectation that Brasenose would achieve the two bumps necessary to rise from third in Eights to Head of the River. Ahead of BNC were Exeter and Balliol, the latter starting at head. In actuality, he had been the victim of his own cox. During some animated shenanigans over dinner, Charles Parkin had taken a swipe at Woodgate’s face, forgetting for the moment that he had a knife in his hand. Woodgate realised the immediate danger and parried the knife with his right hand, receiving a deep wound which required stitching, and forced his temporary retirement from the crew. Although Eights was a disappointment, Woodgate proved his pre-eminence on the Isis by winning the O.U.B.C. Sculls, and it was decided that the College should a delegation to Henley. A coxed crew was entered for both the Wyfold Challenge Cup and the Visitor’s, built around Woodgate and Champneys, who also entered the Goblets. 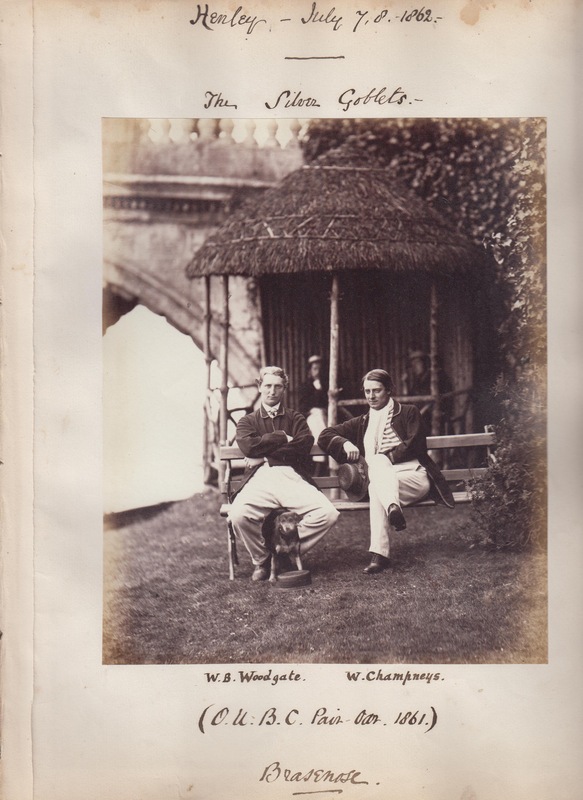 Woodgate and Champneys, winners of the Silver Goblets at Henley Royal Regatta in 1862. Photo and annotations taken from Robert Shepherd’s photo album. Woodgate’s first Henley Royal Regatta would begin on a controversial note that would seemingly recur in following years. On this occasion, there was a dispute over the scheduling of races, which would have seen Brasenose rowing a series of heats at 45 minutes intervals on the first day. In the end, it was resolved by rowing the Visitor’s as a single race, which Brasenose lost to First Trinity, Cambridge. However, the Brasenose crew did win the final of the Wyfold by six lengths. Moreover, Woodgate and Champneys combined to win the Goblets, easily beating the Cambridge University Champions, Burney and Channel. It was the first of five victories that Woodgate would achieve in that event. 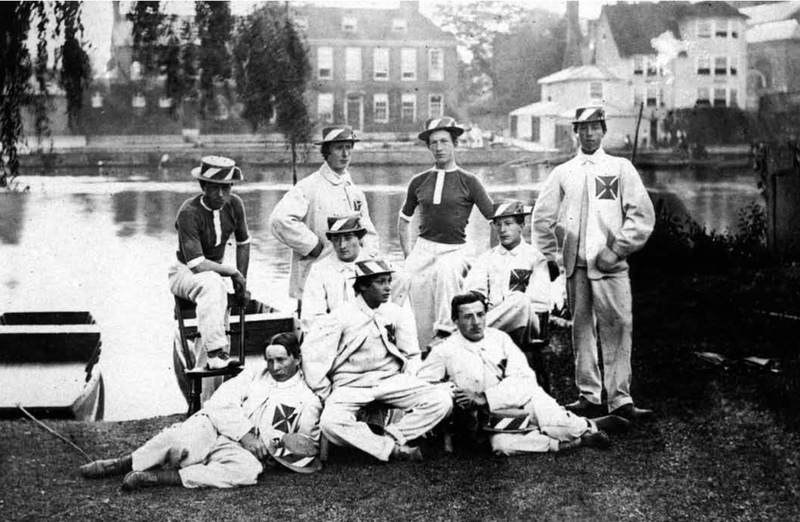 The following year, 1862, Woodgate made his first appearance in the Oxford Blue Boat, where he rowed at bow. The result was a resounding win for Oxford. His Reminiscences also contain a somewhat grisly tale of the efforts of both crews to create a degree of entente cordial. It was agreed that they would hold a ‘cat hunt’ the night before the race. The Oxford crew acquired a cat which was locked in the sitting room at the Cambridge crew’s hotel. Both crews watched on while it was exposed to the attentions of Woodgate’s dog, a notorious devourer of cats. When the inevitable outcome was reached, the cat was ‘given a watery tomb’ that night, only for it to float past both crews as they sat on the start the next day. A number of photographs of the Brasenose Boat Club at about this time are preserved in the photo album of Robert ‘Bobby’ Shepherd. In one, Woodgate and Champneys are captured at the end of Henley Royal Regatta in 1862. They are shown posing near the Henley Bridge. Both are dressed in Childe of Hale blazers, although the cut is unrecognisable as such nowadays. They wear white trousers and dark shoes. Champneys has on his black and yellow bumblebee zephyr, as well as a scarf and monocle. At Woodgate’s feet is his loyal dog, Jenny. It was to be a golden year for Woodgate and his college. In the final of the Diamond Sculls, Woodgate and E.D. Brickwood rowed perhaps the most extraordinary match ever seen at Henley. Birckwood went off at a scorching pace with the hope of not only getting ahead of Woodgate, but also moving across to the Bucks side to gain some shelter from the strong wind. Brickwood opened up a lead of over a length, however by Remenham, Woodgate had closed the gap. At this point both scullers engaged in a cutthroat but delicate game as Woodgate tried to pass, and Brickwood tried to prevent him from so doing. As they closed on the finish, Woodgate drew level by the Poplar Point. The crowd was now wildly cheering their respective favourites as both men surged, stroke for stroke, towards the line. Woodgate seemed to have clawed a slight lead, but in the last stages of the race, he inexplicably veered back towards the Berkshire bank and ended up almost in front of the judge’s chair on the finishing line. The cheering continued, and when the result was announced, it was a dead heat. The regatta had never seen a dead heat before, and although both oarsmen were exhausted by their efforts, they were instructed to proceed back to Temple Island for a re-row. This race, too, saw both scullers go off at a great pace, but Woodgate succumbed by Remenham, leaving Brickwood to claim his second Diamond Sculls. For Woodgate, that was just the opening stanza of the final day. He and Champneys retained their Goblets title. The college also won the Stewards’ Challenge Cup. The same crew rowed the Visitor’s although they had to change cox, as Parkin, now a curate was ineligible to compete. Edward Parr, a Harrovian with seemingly no rowing experience, was put into the boat in his place. Brasenose won easily over Third Trinity, making Parr the lone cox to win at Henley in his first and only rowing race! Happily, the Four, along with the fortunate Parr, were also photographed, with the image surviving to the current day. Winners of the Stewards’ and Visitor’s Challenge Cups. From left: W.C. Harris, W.B. Woodgate, E. Parr, W.C. Champneys, R. Shepherd. Of Woodgate, The Field was to observe: ‘That this gentleman is one of our best amateurs there can be no question, as he lacks neither strength, lasting power nor pluck.’ This reputation was sealed a few weeks later when he avenged himself on Brickwood by winning the Winfield Sculls on the Tideway, becoming the first Oxford man to do so. O’Chee’s story about Walter Woodgate will continue tomorrow.